The CPD Enforcers and CPD Chaplains Unit were at Tommy's Bar on the Northwest Side for the 4th annual toy drive for child victims of domestic battery. CHICAGO (WLS) -- Some Chicago police charities went beyond protecting and serving for kids who have been through tough times Sunday. 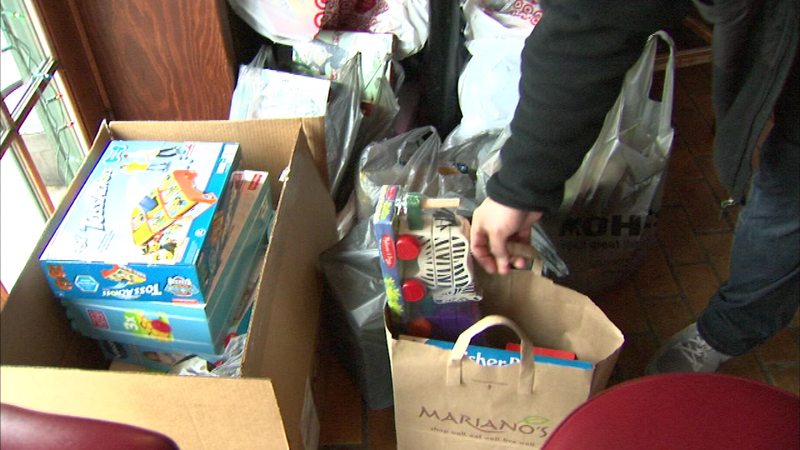 People took time out of their days to make a donation, hoping to make those kids' holidays a little brighter.